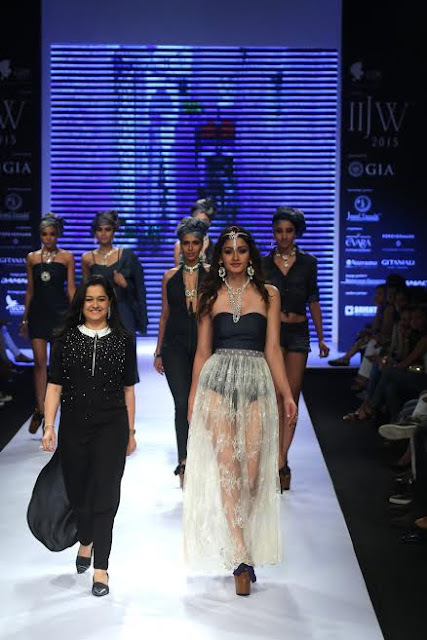 The highlight of Indian International Jewellery Week 2015 at Hotel Grand Hyatt, Mumbai was hands down – the “Tassels” collection by DiamondTree Jewels designed by veteran designers, Cherry Sahni & Raghav Sahni. The way DiamondTree Jewels' showstopper and reigning Miss India World – Aditi Arya walked in an exemplary yellow diamond neck-piece of this collection took everyone’s attention in a flash! Creating trendy yet decent and classy jewellery design has been a distinctive feature of DiamondTree Jewels as we know and the “Tassels” are another blissful addition to this caravan of beautifully handcrafted and sophisticated jewellery. 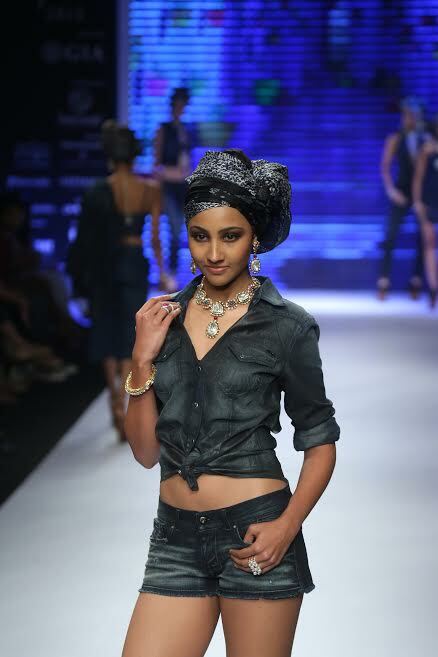 Cheery Sahni has definitely managed to showcase her command over fashion and creativity through this collection I feel. A ‘Tassel' is basically a bunch of loose threads or cords bound at one end and hanging free at the other end; It is a universal ornament that is seen in varying versions in various cultures around the globe. “Tassels” provide a fun and playful feel to the overall attire and look of the outfit. “Tassels” have undergone a major reformation over the eras and it has managed only to become better and better by time. 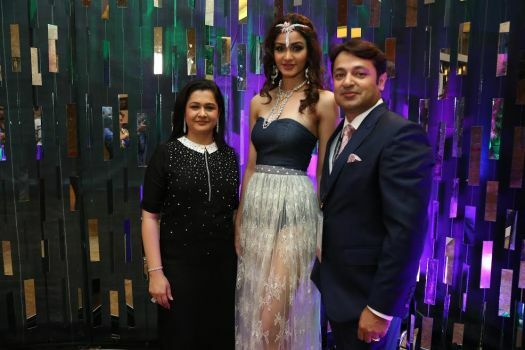 It was an absolute delight to watch Miss India World 2015 – Aditi Arya walking the ramp as a showstopper of DiamondTree Jewels and unveiling the dazzling and spooky “Tassels” range. 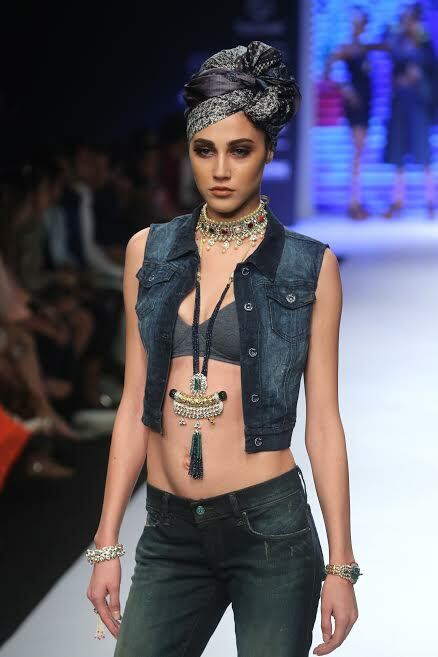 Aditi Arya's graceful walk down the grand and mammoth setup of Blue Moroccan Street was complementing perfectly well to the stunning outfit and neck-piece from DiamondTree's “Tassels” range. 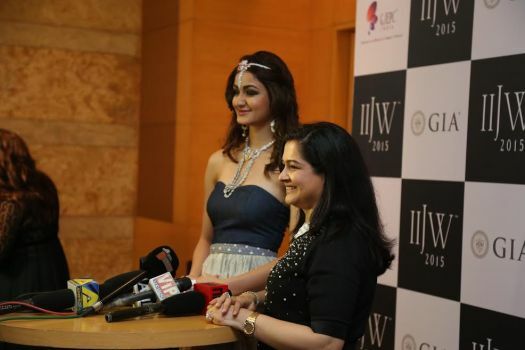 Raghav and Cherry Sahni were in all smiles to see Aditi Arya endorsing their dream into reality. The efforts they have taken to setup DiamondTree Jewels with a view to provide trendy yet exotic and elegant jewellery is surely commendable. The significance and efforts put in to create these handcrafted jewels can bee seen in each and every piece. The happiness of Cherry Sahni’s face was enough to justify her dedication and the efforts she has put in to create this masterpieces of “Tassels” range. “A tuft of loosely hanging jewels knotted at one end to adorn your being forms the underlying concept of my collection”, Cherry explained to the press. ‘LIKE’ DiamondTree on Facebook and follow @DiamondtreeJ on Twitter to know more about “Tassels” and other range of DiamondTree Jewels products!